We have a call for assistance for deputies with writing some new documentation at the end of this post, so read on and comment if you would like to help out. As all WordCamp organisers will know, invoices for WordCamps are managed from within the event dashboard and finances are handled by the WordPress Foundation’s subsidiary, WordPress Community Support, PBC. Meetup venue payments are also handled through the same entity, even though the process for requesting those funds is a little more manual. 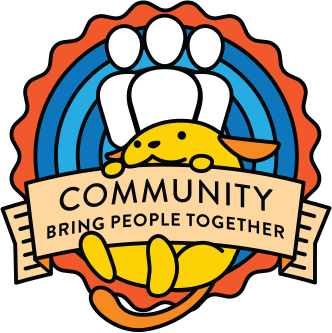 Aside from WordCamps and meetups, the community team oversees other event programs, with finances managed via WordPress Foundation bank accounts — right now, that includes do_action charity hackathons and open source workshops. Both of those event programs are growing, and we have found ourselves in need of a better way to handle invoices and finances (currently we’re using email threads). We also want the finances for these events to be public and transparent. With that in mind, we are going to be using a new third-party platform for this – namely, Open Collective. Open Collective is a platform that makes managing organisation and event finances public, transparent, and simple. It is a great platform for our use case here, and we are excited to try it out. Not only will it make these event finances more transparent, but it will make it far easier for us to support more of these events as they continue to grow. We are nearly finished setting up Open Collective for our needs. The next step is to put together documentation for organisers so they can start using the platform with ease. We are looking for deputies who are keen to assist with creating the documentation to help out, so that we can start using Open Collective as quickly as possible. If you would like to assist with creating this important documentation, please comment on this post, and we will work through it together.